Oh romance is in the air! Our kitchens are already filled with chocolate and love and wait for tomorrow - we'll all bake valentines! This year we're very fortunate, since St. Valentine's is on Saturday we'll have plenty of time to cook and serve to our beloved one a complete romantic breakfast and a meal - obviously he's taking us out for dinner. If you haven't found the right recipe feel free to browse our St. Valentine's menu on Recipes.it link. We now present you a very romantic and unusual way to present some Valentine cookies: a puzzle he will have to solve before eating! BE MINE? LOVE YOU? What will the valentine reveal? Sandee Cameron creates a sweet mystery with her Love You to Pieces shortbread valentine. With the help of her two young sons, she uses chocolate bits to stud an abbreviated billet-doux traced on the super-size heart. Baked whole, the warm cookie is then cut apart randomly and presented as a puzzle. In a food processor or with a mixer, combine flour, sugar, and cornstarch. Add butter, in chunks. Whirl or mix until dough is well blended. Scrape dough onto a lightly buttered 14-by 17-inch baking sheet. Using hands, pat dough out 1/4 inch thick, then shape into a heart that is about 12 inches tall and 14 inches wide. With the tip of a skewer or sharp knife, write a message on the heart, scoring lightly (it's helpful to write the message first on a heart-size piece of paper). If you don't like the results, pat smooth and try again. Press chocolate pieces into lines. Bake cookie in a 275[degrees] oven until pale gold, about I hour. At once, cut cookie with a sharp knife into 6 to 10 pieces of random shapes, but leave in place until cool. With a wide spatula, gently transfer pieces to a large platter or board, disassembling the heart and message. Serve, or wrap airtight up until the next day; freeze to store longer. Invite your youngest (or other selected) guest to reassemble the puzzle and read the message. Break into chunks to eat. Makes a 1 3/4-pound cookie, 12 to 16 servings.--Sandee Cameron, Burlingame, Calif. Per ounce: 129 cal. ; 1.1 g protein; 7.5 g fat (4.6 g sat. ); 15 g carbo. ; 67 mg sodium; 18 mg chol. Subscribe to Sunset Magazine and save 85% !!! Sunset explores Life in the West. If you live in the West, you must have Sunset! Get garden tips for your area, home decorating & design ideas, delicious food & entertainment made easy and regional travel coverage. Give your delicious cookies a little fun and personality with these durable copper cookie cutters. Perfect for making oversize cookies into delightful shapes for parties, gifts, goodie bags or as a cute snack. Makes a fun decorating project for children. The cutters are available in various shapes, so there’s sure to be one for just about any interest and occasion. Here are a dozen ways to say "I Love You"! Muffin pan is made of heavy-duty, non-stick metal, so baking, candy making, and cleanup are a snap. 12 heart-shaped molds — each 1 1/2" Dia. — create perfectly shaped muffins, cupcakes, biscuits, candy, teacakes, and more! Instructions and a fun recipe are included. 12 x 8". 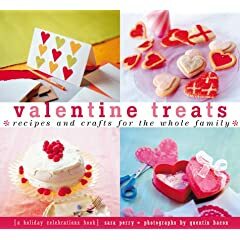 Nothing says "I love you" like gifts made from the heart, and anyone struck with Cupid's arrow will find plenty of inspiration in Valentine Treats. 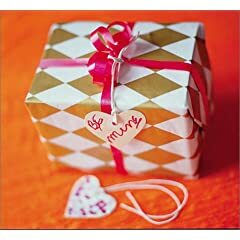 So say it like you mean it with nostalgic Antique Valentines and a Sweetheart Candy Box. If that's not enough to sway the fickle, then let them hear the sweet Pitter Patter of your Pancakes, and dive into your Chocolate Cookie Truffles. Even the littlest cherubs will join in the fun with simple nosegays, no-fuss Peanut Butter with Love Sandwiches, and Pixie Postcards. Cupid's arrow will hit the bull's eye this holiday with the enchanting ideas in Valentine Treats. Happy Valentine's day from Recipes.it kitchen!